MOVE IN READY Adorable 2 Bedroom and 2 Bathroom with a bonus room that could be used as a 3rd bedroom. 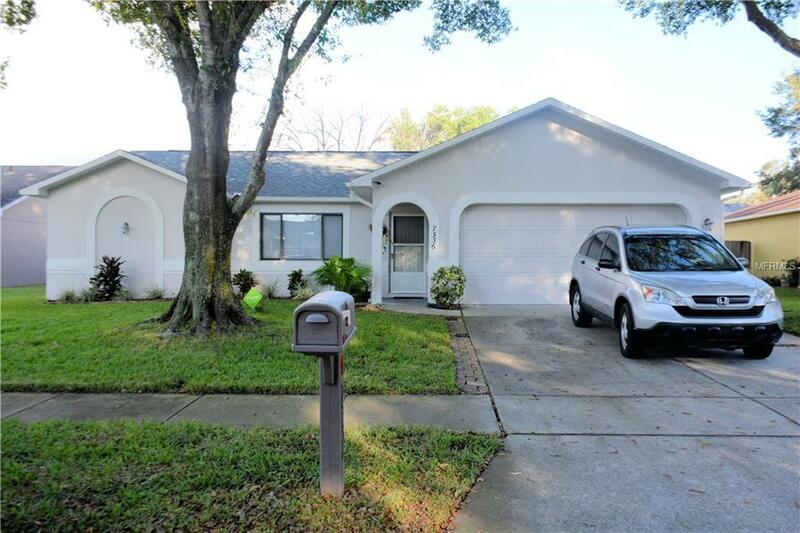 BLOCK Home offered for sale located in Woodbridge Estates at New Port Richey Florida. Features NEW roof with 15 year warranty, upgraded cabinets, upgraded flooring, fans throughout, granite countertops in kitchen along with Stainless Steel Appliances, lighting on top of Kitchen cabinets, long Driveway, Upgraded Lighting, High Ceilings and this all sits on a larger lot! (.16 of a acre lot) Home is in MOVE-IN Great condition! A Must See! What you waiting for?! *Master Bath with Walk-In Shower* This bright & Freshly Painted Home with desirable Split Floor plan with lots of windows & Open kitchen awaits. Property is convenient to restaurants, shopping, beaches, hospitals, schools and Major roads like 19 & 54 to get you to where you want to go! LOW HOA $180yr. NO CDD or Flood Insurance. Taxes Homesteaded $883.73 for 2018. Add to your short list and call to view now!